Supply chains today amass huge amounts of data. To remain competitive in a global economy, organizations need to constantly derive meaningful information from this plethora of data to make critical business decisions. The process of gaining meaningful and actionable knowledge from supply chain related data is referred to as Supply Chain Analytics (SCA). As a result of demonstrated benefits from SCA, organizations are spending considerable amount of resources to develop these analytical capabilities. However, due to complexities of such undertakings, many SCA projects fail to achieve the desired results. It is argued that a major reason for such failures is lack of organizational readiness to embrace analytics. This paper presents an index for measuring the readiness of organizations to successfully implement SCA. The Supply Chain Analytics Index, henceforth referred to SCAX, was developed by surveying 112 SCA professionals from 7 countries and from various industries and professional backgrounds. Using this index, organizations can tangibly assess their readiness to take full advantage of the power of SCA. Supply chain management (SCM) includes the active management and planning of activities involved in the sourcing, procurement, conversion and the transportation of services and goods from point A to point B by collaborating with a number of partners such as suppliers, intermediaries, third part service providers and end customers (Supply Chain Management Definitions - Council of Supply Chain Management Professionals, 2011). Undoubtedly, such an integrated network of channel partners creates a plethora of data (Symeonidis, Nikolaidou, & Mitkas, n.d.). In spite of this, a number of supply chain companies find themselves “data rich yet information poor” (Stefanovic, Stefanovic, & Radenkovic, 2008). In order to compete with increased local and global competition and well as to gain a strategic advantage in today’s economy, it has become imperative for companies to use this wealth of data to their advantage. Vaidyanathan et al. 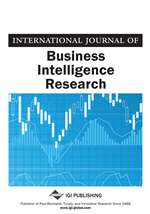 (2010) define Supply Chain Intelligence (SCI) (Stefanovic, Radenkovic, & Stefanovic) as a means of extracting and generating meaningful and intelligent data from the vast amount of data available in various SCM processes to improve efficiency, anticipate customer demands, improve product quality and improve supply chain strategies. SCI often results from Business Intelligence (BI) which offers a way to analyze business data for making more informed business decisions and eventually value creation. Using historic sales data, a company could possibly forecast their future sales. Using Matlab simulations, Tozan and Vayvay (2008) explores the methods of utilizing fuzzy approaches (fuzzy linear regression, fuzzy time series and neuro-fuzzy forecasting models) in forecasting whiplash or the bullwhip effect in supply chain. Utilizing a weighted combination of statistical forecast methods (studying historic data to predict future trends) and “judgmental” methods (judgments from subject matter experts); Kabak et al. devised a fuzzy logic-based aggregation procedure to forecast demands (Kabak & Ülengin, 2010). Utilizing a hybrid system involving Autoregressive Integrated Moving Average (ARIMA) models and neural networks, Weber et al. discovered improvements in the demand forecasting accuracy rates in turn leading to better inventory management and reducing sales failures. Recurrent Neural Networks (RNN) and Support Vector Machines (SVM) forecasting techniques were compared with more traditional techniques and RNN and SVM were found to have the best results (Carbonneau, Laframboise, & Vahidov, 2008). Better sales forecast translate into better inventory management. Inventory management is a crucial process in SCM in any domain. But in the medical industry, inventory management requires heightened caution given the stringent expirations of the medications yet the urgent medical needs of the customers. Bansal et al. (n.d.) explore the options of using neural networks based data mining applications for enhancing inventory management especially in the medical field. They believed that creating a neural network could “learn” customer demands and manage the inventory accordingly. Partovi et al (2001) confirmed this analysis by stating that the back propagation (BP) and genetic algorithms (GA) methods of artificial neural networks (ANN) had comparable predictive accuracy. And this was higher than the multiple discriminate analysis (MDA) technique. Dhond et al (2000) advise that the problem of too few or irregularly timed input data points could be overcome using either techniques of “Linearization” or “Moving Windows”. Aldasorol et al. (1999) took this thought a step further. They compared a “traditional” model of replenishing inventory based on a threshold inventory levels with neural networks which drove replenishment based on predicting future demands and found both to be satisfactory. But they determined that a hybrid model which involved both these methodologies and another parameter – customer satisfaction levels – provided the best results.